There are a variety of positions for volunteers depending on your commitment and expertise. Click on the position below to learn more and find the right fit for you! The Chief of Course for each the men’s and ladies’ events have a dedicated Course Crew that is directly responsible for the preparation and maintenance of the competition venue in accordance with the directives of the ROC and the Jury. The Chief of Course for the men’s event oversees Build Week and the Men’s Event. The Chief of Course for the ladies’ event oversees the Ladies’ Event and Teardown. Volunteers can choose which blocks they would like to volunteer for, but the Chief of Course will ultimately assign your position prior to arrival. You must be flexible and available to be assigned to complete many different tasks, as they are needed. Mother nature has the final say, so no day is typical! 5 pm | Ideally, the end of the on-hill day, no guarantees! The Finish Crew is a cohesive group of skilled volunteers that are responsible for the coordination and construction of the Finish Area in a safe and efficient manner. There are shared and individual tasks that require different expertise. A daily to-do list is established based on weather and snow conditions and decisions are made as to which tasks will be carried out in order of priority and by whom. Infront Sports & Media and FIS regarding access/egress, mix-zone, inflatables, etc. Scaffolding contractor for the broadcast booths, photography platform, video wall, timing clocks, TV tower, etc. The Medical crew is responsible for the safety and first response medical care for the athletes and volunteers. Chief of Medical and Chief of Ski Patrol oversee the Medical crew and are responsible for medical protocols, adhering to FIS rules and reporting as required. The Radio Communication crew is overseen by a Chief of Radio Communication and is responsible for all radio assignments and radio communication between all sectors inside the fences (some outside). Referred to as Base Operations, this crew ensures that proper and efficient communication is maintained throughout. Trouble-shooting and problem-solving are routine. Set-up base operations/communication trailer, including but not limited to the base stations, computers, printers, all radio charging stations, assembly of radios, set-up of VHS repeater stations, phones, etc. Prior to the races, the Timing & Calculations crew ensures timing cabling is in place and functioning properly and in accordance with Swiss Timing guidelines. During the races, the crew supports Swiss Timing by operating timing equipment along the course from start to finish. The Timing & Calculations crew is responsible to the Chief of Timing. The Chief of Volunteer Services for each the men’s and ladies’ events rely on a crew to help facilitate volunteer requirements and expectations. Volunteer Services is the hub between the Race Organizing Committee and enthusiast volunteers to ensure every position is filled. 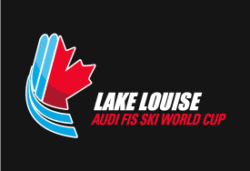 The Volunteer Services crew then work together to guarantee an exceptional experience for all volunteers during the events, while at the same time making sure the Race Organizing Committee has all the resources needed to produce the best possible Lake Louise Audi FIS Ski World Cup. Assist with Camp Canada set-up including safety meetings, signage, audiovisual equipment, liaising with Lake Louise Inn, etc. Assist with the Volunteer Party at Brewster Barn including signage, audiovisual equipment, transportation details, ROC requirements, etc. Assist with Spolumbo’s Night including signage, food and beverage set-up, liaising with Lake Louise Inn, etc. Marketing & Events is responsible for operations outside the fences that do not pertain directly to the competition, course, athletes, volunteers, FIS or race protocols. They manage the experiences and expectations of corporate and funding partners, VIP’s, media, Club 5, spectators and team meals and lounges. They plan the activation experience in the Finish Area and all the social functions and activities around the event. They market the event, promote the destination and work year-round to welcome the world. Develop and implement domestic media opportunities through media activities and tours, meet and greets, school visits, Speed Sisters, etc. Liaise with Lake Louise Ski Resort on Finish Area waste management, transportation, access/egress, etc. The Chief of Media is responsible for coordinating international and domestic sport media, liaising with our broadcaster, Infront Sports and Media, and collaborating with the FIS to follow guidelines and meet expectations. Organizes information, maintains records and assists the Chief of Media as requested prior to and during the event. Organizes information, maintains records and assists media during the event. Provides security for media corrals, TV corridor and restricted area in the Finish Area. Provides liaison between photographers, Chief of Media and Jury delegate. The Chief of Finance for each the men’s and ladies’ events rely on a Team Prize Money Manager who is responsible for the calculation of prize money, composition and emailing of prize money receipts to athlete contacts and the wire-transfer workbook for review by Chief of Finance and final copy provided to Winterstart Events Ltd.
Finance is ultimately responsible for accurately and clearly calculating and executing the mainly financially related impacts of the event as it relates to all officially entered teams, including hosting expenses, travel money and prize money according to FIS rules. Provide the workbook to Winterstart Events Ltd. with all withholding tax and supplementary information to allow for preparation of tax receipts for issue by Winterstart Events Ltd.
Race Administration is composed of a Chief of Race Administration and up to two race administrators. Race Administration is responsible for all administrative work for the competition, including team entries and quotas, jury and team captains’ meetings, preparing the bib picks, race documentation, such as start lists, analysis and results. Race administrators work closely with the FIS Race Directors, Chiefs of Race, FIS Technical Delegates, team captains, Swiss Timing, Chief of Forerunners, Finance and Accreditation. Maintain event related documents such as course maps, medical information packages, contact and phone lists, insurance certificates, homologations, etc.